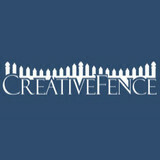 Creative Fence is an owner operated business nestled in the Lehigh Valley. We have over 15 years of fencing experience. In those years we have seen our customers gleam with pride of ownership with their new fences. Brad Eck is the owner of Creative Fence. 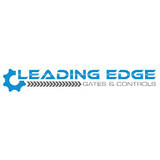 His vision is to provide the most state-of-the-art fencing products with an installation that is second to none. His precision and eye for detail can be seen in every job that Creative Fence does. After many years in fencing he has developed a style all his own. 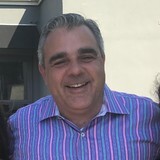 Customers continue to give rave reviews about his creative approaches to problem solving. Every property has unique challenges and we pride ourselves on being able to step up to the plate. If you want your fence done right, on time and on budget then we are the right company for your job. We install and repair every type of Vinyl, Wood, Chain-Link and Aluminum Fencing, Gates, Driveway Gates, Entry Gates, Cantilever Gates, Vinyl Railings, Power Washing & More. We will save you up to 50% in total costs on all installations we do and products we sell. We are also one of the only Fencing Companies in the area that offers installation at the customers discretion. If you decide to purchase your own materials, we will only charge you for labor. Our installation prices & guarantees cannot be matched. The Owner personally works on each job start to finish, ensuring absolute satisfaction. Why ActiveYards? Fencing solutions for life We are the leading American manufacturer of low maintenance, lifetime warranted fencing systems. We believe there is no reason to sacrifice performance, beauty and style for function or price. SOLUTION STARTER We at ActiveYards know it all starts with providing you a solution for your outdoor space. And this is exactly where you will start your purchasing process with us by selecting a solution resolution icon of Privacy, Protection, Pool or Decorative. FENCING SOLUTIONS FOR LIFE Whatever you decide, we will help you every step of the way. The result of the choices you make will provide you with a “fencing solution for life”! Harris Fence has been a family-owned business since 1971. We have an outstanding reputation for quality and service. Every fence we sell represents the commitment to satisfying the needs of our customers. In 1992, Harris Fence had the biggest ongoing fence installation in the country, at the Federal Correctional Institution. Our fences are installed by our experienced employees and not subcontractors. We put forth every effort to sell and install the best fence products possible. Your Wayne, PA fence installation and repair professional will work with you to create your ideal fence. 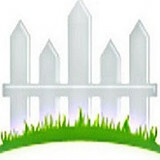 Find a fence contractor in Wayne, PA on Houzz. 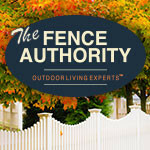 Narrow your search in the Professionals section of the website to Wayne, PA fence contractors. You can also look through Wayne, PA photos to find examples of fencing and gates that you like, then contact the professional who worked on them.